Tall-ship line Star Clippers has launched a promotion aimed at solo travelers and is waiving the single supplement charge for cruises on the Eastern and Western Mediterranean or Indonesia from April through October 2017. Cruise guests will sail aboard either the Royal Clipper or Star Flyer to visit popular European destinations in countries such as Corsica, France, Greece, Italy, Portugal, Spain, Malta and more. Solo traveler rates start at US$1,650. Travelers can also opt for an exotic trip on the Star Clipper and visit Indonesian isles with stops at ports of call on Bali, Lombok, Java and Komodo Islands, among others. Solo traveler rates start at $1,360. 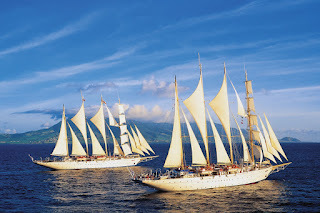 Star Clippers provides all travelers with a relaxing ambiance and a leisurely pace. Guests can find sanctuary on one of the hidden areas on either side of the bow, or climb the mast (with safety harness provided) to one of the passenger lookout crows-nests, furnished with a comfortable settee where passengers can experience the grandest view of all. As with many cruise lines, the fare may be just the starting point, as TheTravelPro noted in a 2016 article on the topic. Star Clippers offers more included features than many. In addition to all meals and snacks as well as some beverages, Star Clippers’ fares cover activities including mast climbing, gym and sauna visits, and use on all on-board water toys such as paddle boards, snorkeling gear, kayaks and more. In addition to obvious additional expenses like air fare to the departure port, transfers from the airport to the ship and port charges, fares do not include alcoholic beverages, sodas, or bottled water; Wi-Fi; gratuities; or scuba diving; which is available on the Star Clipper in Bali and Phuket, Thailand. Unlike many larger cruise lines, Star Clippers does not offer a beverage package. “Open bar and tall ships don't mix well,” a rep told TheTravelPro. The suggested gratuity amount is $10 per person, per day, which can be charged to the guests’ room folio. Worth noting is that all on-board charges are in euros; ships do not accept U.S. or Canadian dollars. Star Clippers, which is recognized as one of the world’s premier specialty cruise lines, operates three of the world’s largest and tallest sailing vessels. These ships, which carry from 170 to 227 passengers, are large enough to offer first-class accommodation but small enough to call on smaller ports inaccessible to larger cruise ships. Coupled with their intimate size, the activities, amenities and high standards of service give each ship the feel of sailing aboard a private yacht. The largest of the ships, Royal Clipper, carries just 227 guests in luxurious surroundings, including a full 19,000 square feet of open deck and three swimming pools which create a spacious and expansive outdoor environment. Guests are looked after by a crew of 106. Royal Clipper was inspired by the tall ship Preussen, which was launched in 1902 and was one of the few five-masted, square-rigged frigates ever built. The Preussen was lost only a few years after it was launched following a collision with a steamer in the English Channel. Today the 439-foot long Royal Clipper, with her complement of 42 sails, has the proud distinction of being the largest and only five-masted full-rigged sailing ship built since her predecessor was launched at the beginning of the last century. While harking back to the grand age of sailing, the Royal Clipper is decidedly 21st century, boasting state-of-the-art navigation systems as well as abundant creature comforts and luxury touches that include a three-deck atrium that funnels sunlight into the elegantly appointed, three-level dining room. The line’s two smaller ships, Star Flyer and Star Clipper, sail with 170 passengers each and a crew of 74. Like their larger sister ship, Star Flyer and Star Clipper boast significant outdoor space with their teak decks accented by gleaming mahogany rails. 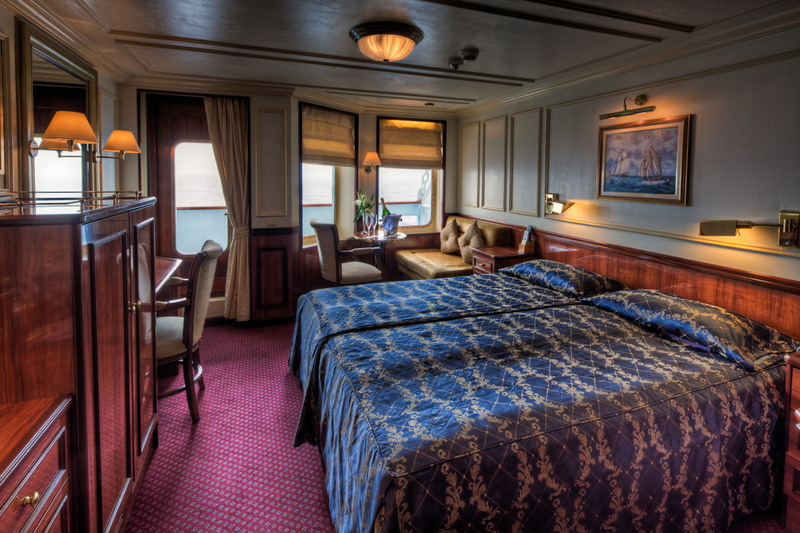 Each ship has two swimming pools, a convivial indoor-outdoor Tropical Bar and Piano Bar, dining room and an Edwardian-style library equipped with a Belle Époque fireplace. On all three vessels, guests experience the romance of sailing on board a true tall ship. More information is available on Star Clippers’ website.